Baby K’tan is a versatile wrap-style baby carrier which is designed for wearing babies up to 35 lbs. Instead of being just a large piece of fabric, it is shaped into two loops that make it comfortable to put on and easy to store. K’tan has 6 different carry position and is made out of thin fabric that gives it extra breathability. This baby carrier is easy and comfortable to wear for both the parent and the child. It doesn’t have as many “bells and whistles” as SSCs, however, it offers more advantages and features than other wrap-style carriers. In this review you can check out all the pros and cons of Baby K’tan carrier as well as find out what other parents had to say about wearing it. Learning all the details about this model can help you make the right choice when buying a baby carrier for your family. This wrap-carrier is designed so it can be worn as a scarf when not used for carrying a baby. This makes it very easy to carry and simple to store. The learning curve of this carrier is lower than for most wrap carriers, however, the parents will still need to spend some time learning how to put it on. The absence of buckles, zippers, rings and ties makes this carrier very comfortable to wear. I can honestly say the K’tan has been a wonderful addition to my family; it’s like I have an extra set of arms now. I feel better knowing I can still get things done, and better as a mother knowing I can give my toddler the attention she needs while also giving my newborn constant love in the kangaroo position. The stretchy fabric makes it uncomfortable to wear a toddler since older babies move around a lot and it might seem as if they will fall out of the carrier. The K’Tan Breeze version of the carrier is less stretchy. The material is also cotton but it is mesh (with little vent holes). K’Tan Breeze is perfect for cold weather. I don’t have the Breeze (have the original k’tan and love it!) but I have used my friend’s a few times. I really like it – it was a little lighter and cooler. It’s a little less stretch because of the mesh, so if you want more stretch than maybe go with the organic, but I liked the extra snugness. Due to the amount of fabric, the carrier can be uncomfortably warm in the hot season. In this situation you would definitely benefit from K’Tan Breeze which is a lighter version of K’Tan Original and is made out of cotton-mesh material. There is no back carry position which is unfortunate since the front carry positions get less and less comfortable as the baby grows older. Because K’Tan has different sizes and the size depends on the wearer, not the baby, you cannot share this carrier with your partner or other caregivers unless they are the same shape and size as you. Also, quite often it is hard to pick the right size especially with your post-pregnancy body. Although there is a sizing guide, rather often parents are forced to exchange the carrier or worse buy another one because they lose or gain weight (as we all know your body is very unpredictable post-baby). The carrier comes in different sizes (XS, S, M, L, XL). There is a sizing guide to help you choose the perfect size for you and your baby. The Baby K’tan ORGANIC is made of a 100% GOTS certified organic cotton. The Baby K’tan PRINT is made of a 100% natural cotton patterned with beautiful vibrant prints. There is a storage pocket on this wrap carrier which can be used to carry a cell phone, card or keys. K’tan baby carrier is made out of 100% cotton which is soft and very stretchy. It feels comfortable to the baby and the parent, however, might stretch too much once the baby gets heavier. The fabric doesn’t lose shape and isn’t prone to sagging. K’tan Active is made out of 100% polyester hi-tech performance fabric, K’Tan Breeze is made out of 100% cotton-mesh material and K’Tan Organic is made out of organic cotton. The fabric is not very long as usually the case with wrap carriers which means it doesn’t drag on the ground or floor while the parent is putting it on. I have the K’tan and love it. For me, it was a lot easier than trying to decipher the moby; and a lot less fabric. I was ready to give up on wraps but the Baby K’tan really helped a lot! It is so much more comfortable and secure than the woven and other slings. K’tan carrier offers 6 different carry positions which is more than most other carriers have to offer. It lacks the back carry position but has two hip and two front carry options. Kangaroo position – suitable for the newborn babies. Offers great head and neck support and allows discreet breastfeeding. Legs are in the “frog” position. The manufacturer claims that this position is useful from 0 to 3 months but in reality babies start asking for the next position much earlier. Hug position – An inward facing position which can be used for babies from 1 to 3 months. Legs are in the “frog” position and are hanging out of the wrap. Explore position – A front-facing position which is good for babies from 5 – 6 months. It allows the babies to see the world around them while still being very close to the parent. The baby is sitting and the legs are inside the carrier. Adventure position – Another front-facing position suitable for babies form 5 -6 months. A very comfortable position for both parent and the baby. Offers great weight distribution. Hip position – A standard hip carry position which can be used when the baby reaches about 5- 6 months. It offers good weight distribution. Two-hip position – Another hip carry position which offers better weight distribution and easier carrying for the parent. I wasn’t tired. It also held her body in the same position, so that I could sit, stand, or walk around without disturbing her sleep. The wide bands of fabric held her like a hammock, and I felt very safe carrying her around in it. Cradle position: check plus. 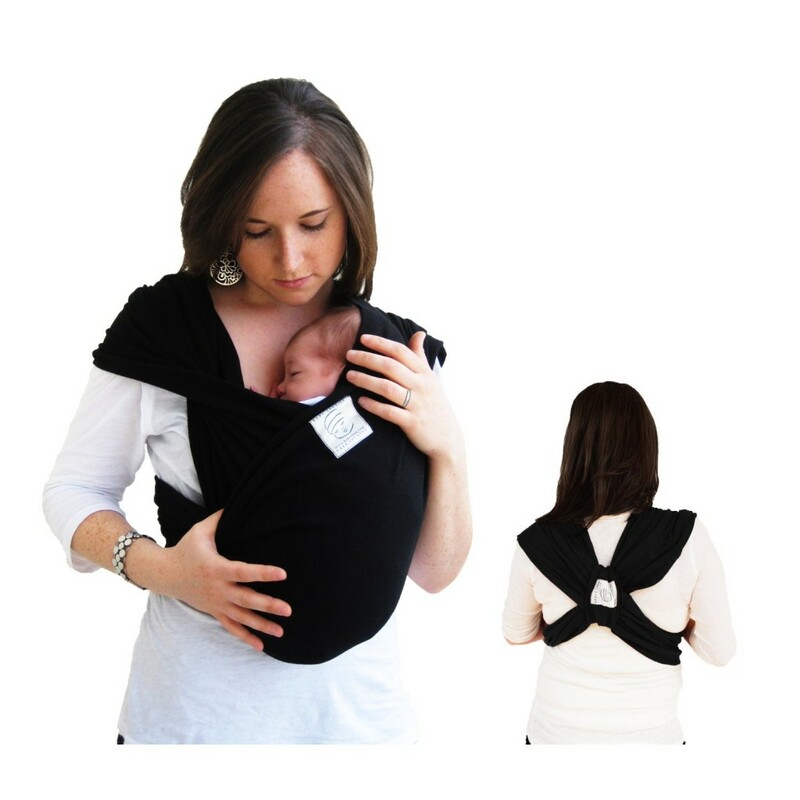 Baby K’tan carrier is designed to offer perfect safety to the babies in all six positions. If put on correctly, the baby is held tight against the parent’s body and doesn’t need any extra support. However, once the baby reaches about 20 pounds, it feels as if the wrap carrier lacks the support to make the wearing safe. If worn correctly, the baby’s legs are always well-positioned in this carrier which makes it safe to wear and helps avoid hip displacement. K’tan baby carrier is very well-designed for the comfort of a small baby. It offers great support for back, neck and head. It allows discreet breastfeeding. 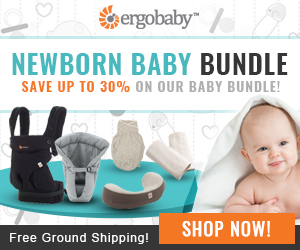 Many moms reported that this carrier is perfect for the baby to sleep in. The carrier is created to keep the fabric out of the baby’s face in all the positions. This makes sleeping in the carrier comfortable and safe. However, when the child grows older, this carrier doesn’t seem to offer all the necessary support. The absence of back carry position is unfortunate, since the front carry positions don’t feel secure to most parents, even though some reported that they do. The hip carry position can be a good idea for the older babies. Since K’tan comes in different sizes, it allows the parent to choose the most comfortable carrier for their needs. However, it can make it difficult to transfer the carrier between parents if they are different in height and size. I don’t like that my husband could not use the K’Tan. I also feel my ring sling is far more supportive for a big baby with its silk fabric than the stretchiness of the K’Tan, and is just as easy to transport. 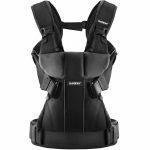 The design of this carrier allows the parent to control and adjust the weight distribution which makes it very comfortable to wear on lengthy trips. The original Baby K’tan model is made out of fabric which can make wearing very warm during the hot season. This is uncomfortable for both the parent and the baby and they might want to go for the Baby K’tan Breeze model which is made out of cotton- mesh material. K’tan baby carrier is very easy to clean. It can be both washed and dried in a machine. Since there is no dragging on the floor factor (which is usually the case with other wrap carriers), the cleaning isn’t required too often. The fabric doesn’t lose its shape after washing. However, some moms report that it might shrink after drying. This really helps when the fabric stretches out a bit. If there is not stretching or sagging and your carrier is a very tight fit, it is not recommended to dry it in the drier. This baby carrier is very comfortable to wear which makes it a good choice not just for short trips to the grocery store and shopping at the mall but for more lengthy uses, such as walks with older children, traveling and even hiking. Since the baby is placed very close to the parent and both hands are free, the choice of activities for the parents is unlimited. The variety of front-facing and hip-carry positions allow the baby not to get bored during long trips. The wide straps and great weight-distribution helps parents avoid any discomfort or back pains during long-term wearing. Great in cooler weather baby lives the snug fit can carry baby hands free for 3-4hours at a time whilst cooking/cleaning or doing groceries! Baby K’tan is a versatile and innovative wrap-style baby carrier which is not to hard to put on and comfortable to wear. It is designed to be worn as an accessory as well, which makes it easy to transport. 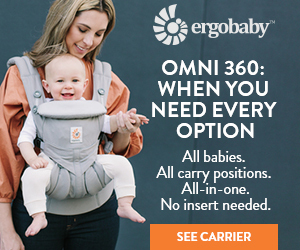 This carrier has 6 different wearing position, however, it lacks the back carry position that might have made it more comfortable to wear toddlers. K’tan doesn’t have many additional features which is not strange for wrap-carriers. However, it does offer a small storage pocket which other wrap-carriers lack. This baby carrier comes in 7 different colors which makes it easy for parents to choose the right model for themselves. However, it also comes in 6 different sizes which, according to most of the parent’s reviews, is a big disadvantage since it is hard to pick the right size (even if the manufacturers tips are followed) and the same size usually won’t fit both parents. This baby carrier is designed to offer the most comfort for the parent and the baby. The soft, stretchy fabric and large loops provide comfortable wearing as well as great weight distribution. 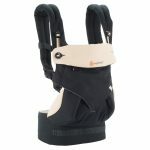 The parent can adjust the weight distribution while wearing the carrier. However, the thin and stretchy fabric becomes a disadvantage when the baby gets older. Most parents agree that this baby carrier stops being useful once the baby reaches about 20 – 22 pounds since the fabric stretches dangerously and stops providing a feeling of security. Overall, this baby carrier is a great buy since it offers all the advantages of wrap-style while being easy to use, wash and store. The carrier has many options SSCs offer do but is priced much more moderately. Most parents recommend using K’tan for babies under 22 pounds.